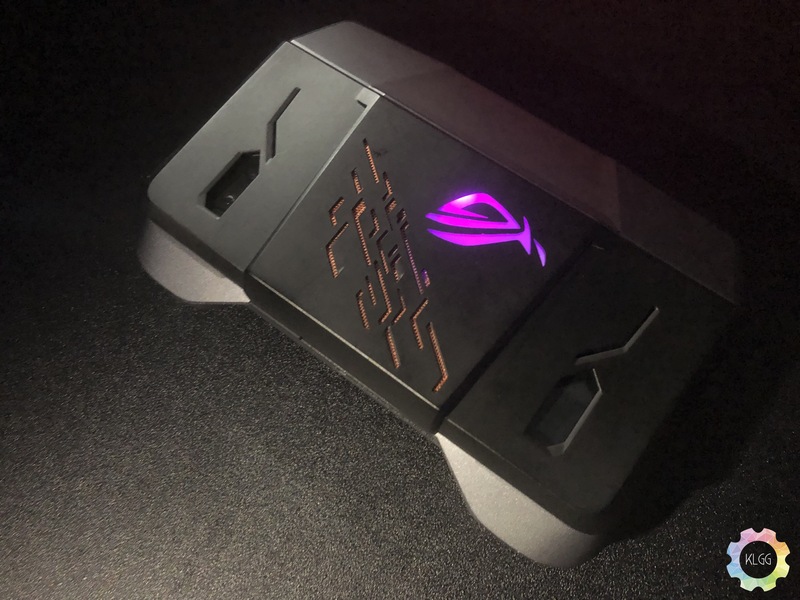 Asus ROG has just unveiled one of the most advanced gaming phones that we have seen in the market. It comes with specs you expect from a gaming phone and what makes the phone special is that it comes with a specially made Snapdragon 845 processor that is clocked at 2.96GHz. Other than just a specially built processor, it comes what ROG is calling, GameCool Vapor-Chamber cooling system with a detachable AeroActive Cooler which further pushes in the air to keep the phone constantly cool even when gaming for hours on the most graphically demanding games. 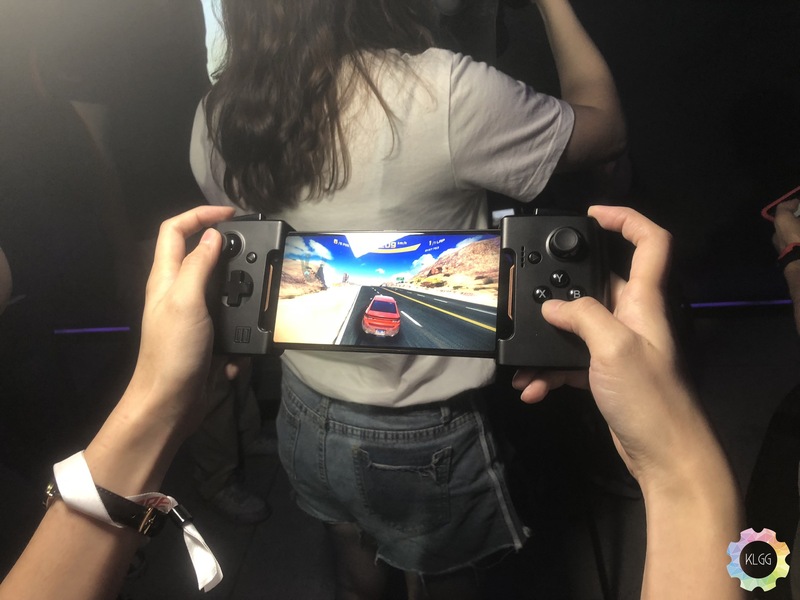 It also allows you to charge the phone and connect a headphone jack while playing games. For the screen, it comes with an AMOLED display that supports 90Hz refresh rates and 1ms response time for beautiful HDR visuals. Other than that, it comes with 8GB of RAM, 512GB of storage and RGB lighting on the back. 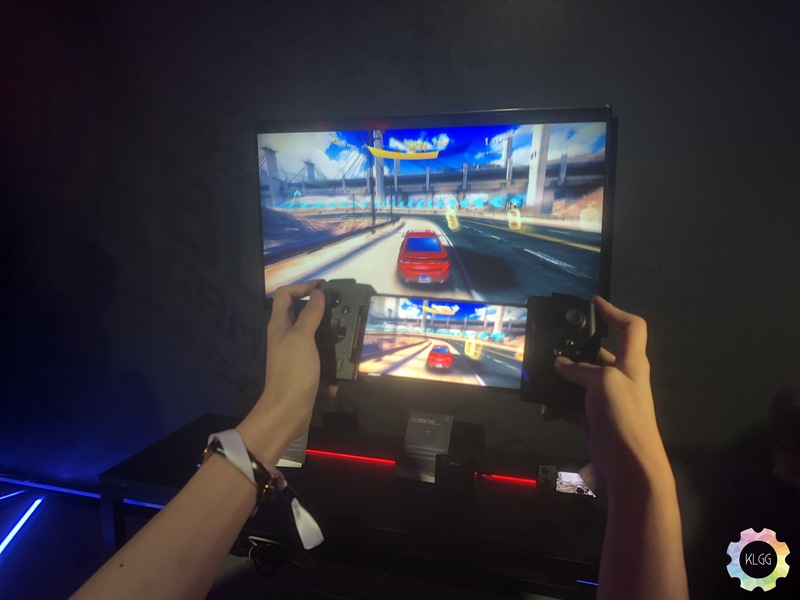 To give gamers the best connectivity for online gaming, the phone is equipped with 60GHz 802.11ad WiFi chip and supports Cat 16 LTE. They did not stop there, it comes with a special X mode which frees up all background RAM and dedicates it to games. It also prevents RAM-eating and battery-sapping apps activity which can all be customized to the user’s preference. Powering the device is a 4000mAH battery that supports Asus HyperCharge. Due to the lack of buttons on phones, game user interfaces become cluttered with action buttons. 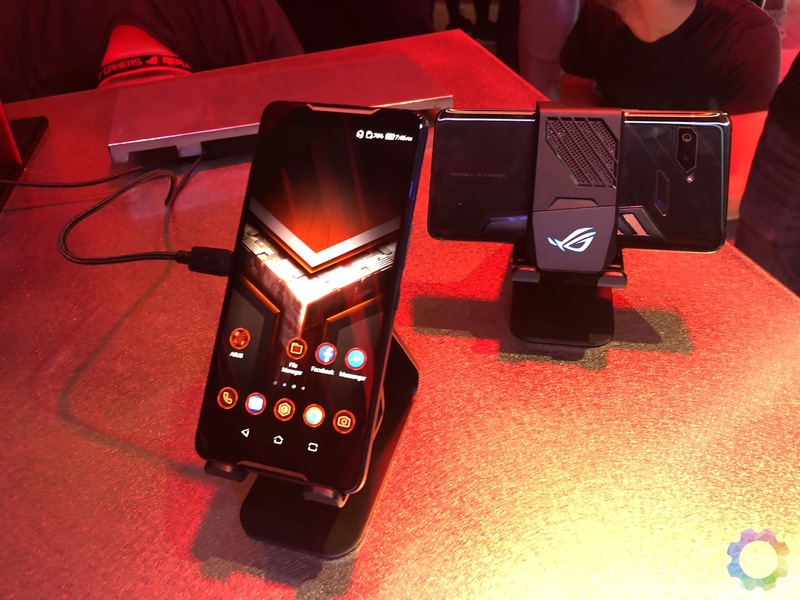 To combat this, the ROG Phone comes with AirTriggers touch sensors on the top of the phone when holding it in landscape mode. These sensors use ultrasonic technology so users will only need to apple 20g of force, making it easy to perform quick taps, which is especially important in competitive gaming. 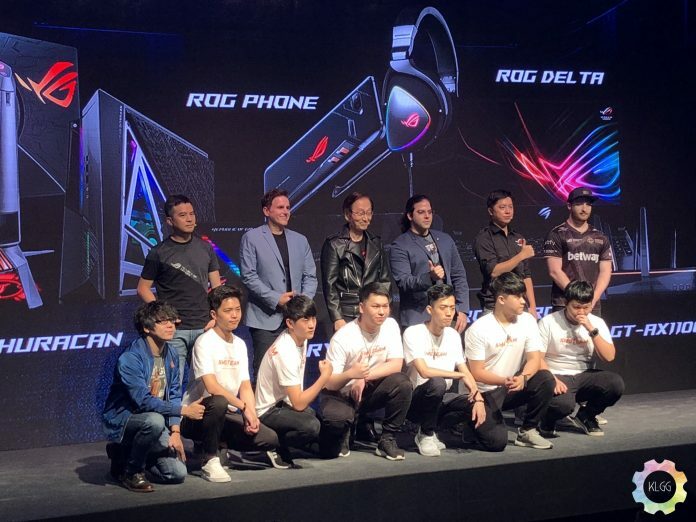 If you thought that ROG did more than enough for the phone, they are also releasing a range of accessory to further enhance the gaming experience on the phone. The first device is the TwinView Dock which turns the phone into a dual-screen console to take advantage of live streaming. 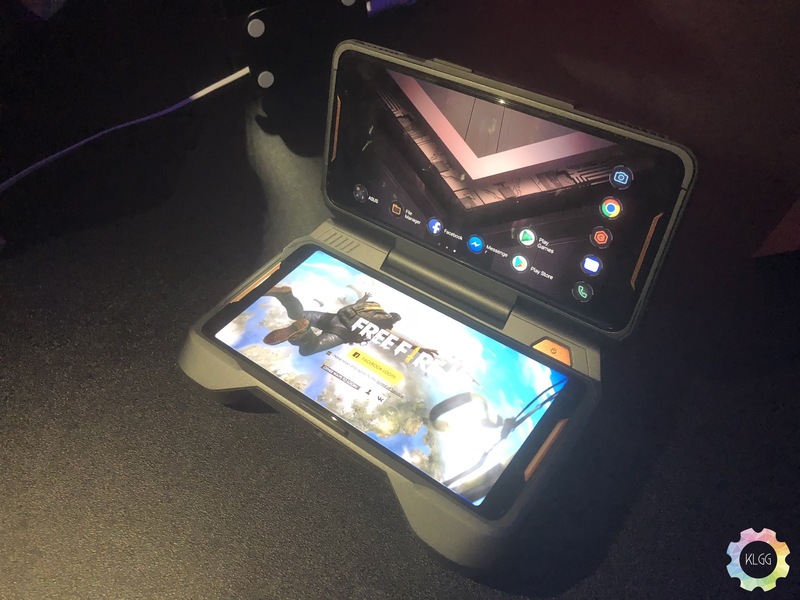 It has a 6-inch AMOLED screen and has a quad front-facing speaker system with two physical trigger buttons, dual-haptic force-feedback engine and an enhanced cooling system with a 6000mAh battery pack. 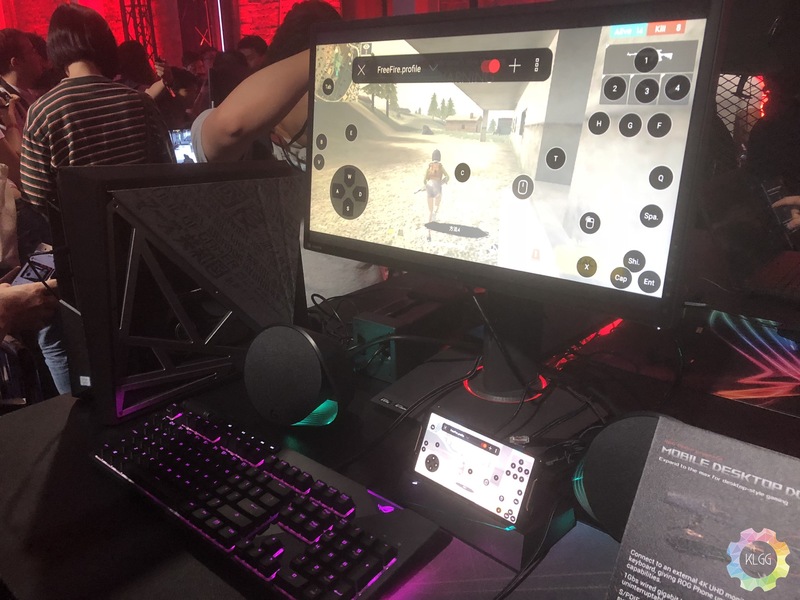 Next is the WiGig Mobile Desktop Dock which allows users to connect the ROG Phone to an external 4K UHD monitor, mouse and keyboard. The phone can be used as an auxiliary display and drive a 5.1-channel surround-sound system via SP/DIF output. Lastly, is the Gamevice controller attachment which comes with dual analogue joysticks, two trigger buttons and bumpers, a D-pad, A B X Y buttons and L3 R3 buttons, similar to what you will get on a traditional game pad. Together with the WiGig Dock, you can get a console-like experience if gaming with a mouse and keyboard is not your thing. Asus did not mention the price of the phone or accessories, but you can expect all of it to arrive somewhere in Q3 with an initial release in Taiwan before the rest of the world can get their hands on it.